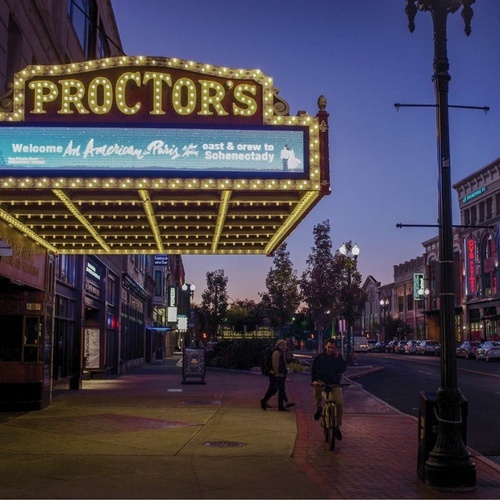 First opened in 1926, Proctor's has truly become a performing arts center and cultural anchor of downtown Schenectady and throughout New York's Capital Region. Don't miss the rare opportunity to meet Proctor's CEO Philip Morris and go behind the scenes for a full "back stage pass" to learn the fascinating story of this local landmark, part of the League of Historic American Theatres and an Excellence in Historic Preservation recipient. Gain insightful information on how Proctor's has become a powerhouse in the Capital Region arts & culture scene. Networking reception with light fare ends the evening. List of of session attendees will be provided to all.